kaijaybird | Birds are amazing!! I came across this little fellow when I was walking along the Santa Barbara coastline. 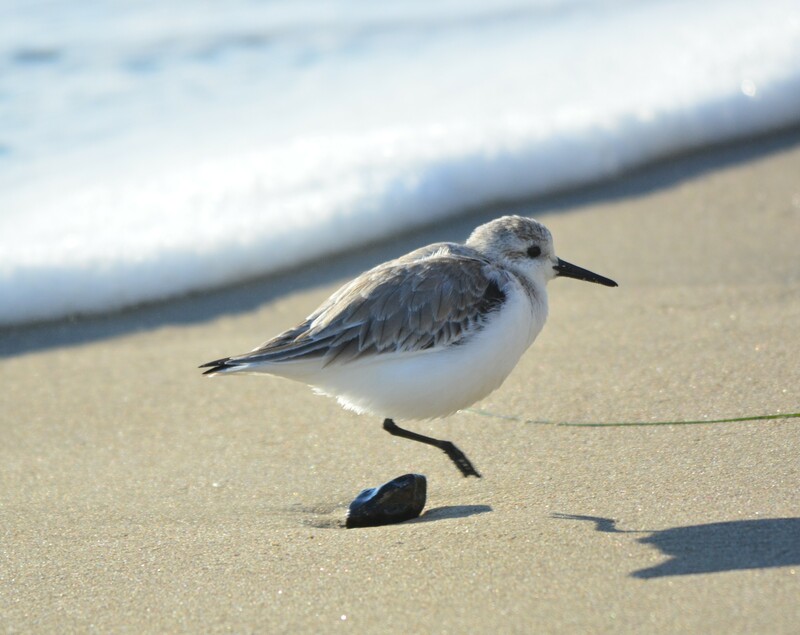 I managed to take the photo just as a wave came in an this Sanderling hopped up over a little pebble. I didn’t seem to realize that I managed to take this photo until I was back home. A pretty rare shot if you ask me!!! At a lagoon in Santa Barbara. 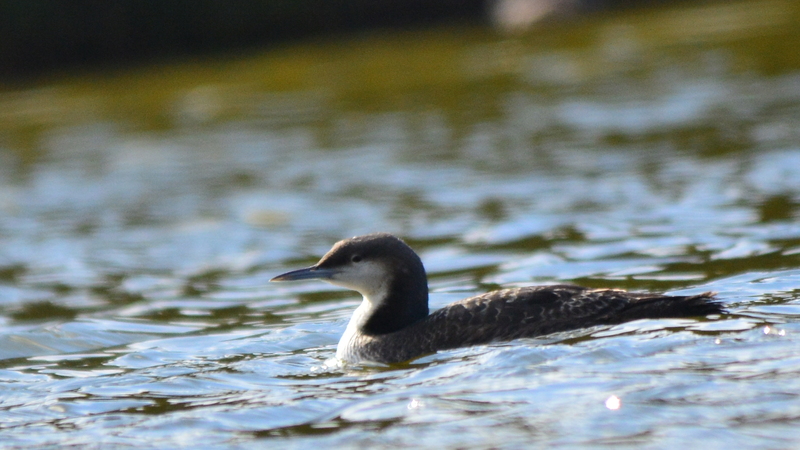 We found this Pacific Loon in a lagoon right next to a seaside in Santa Barbara, m California. 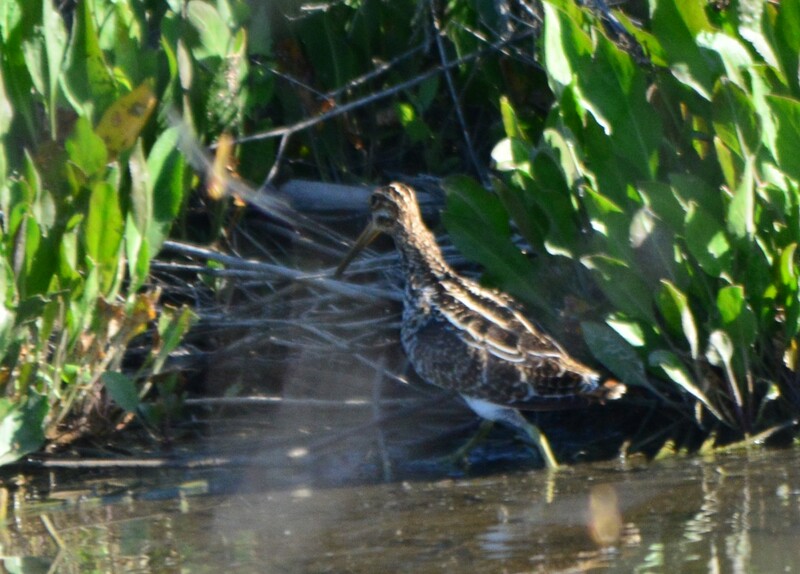 I managed to spot it from about 200 yards away from the other side of the lagoon. 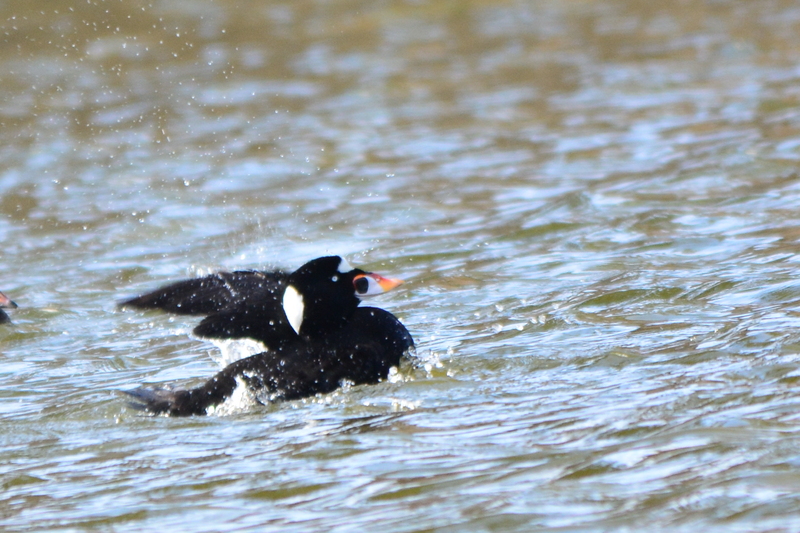 Quite a nice spotting as we went to the lagoon just for loons. 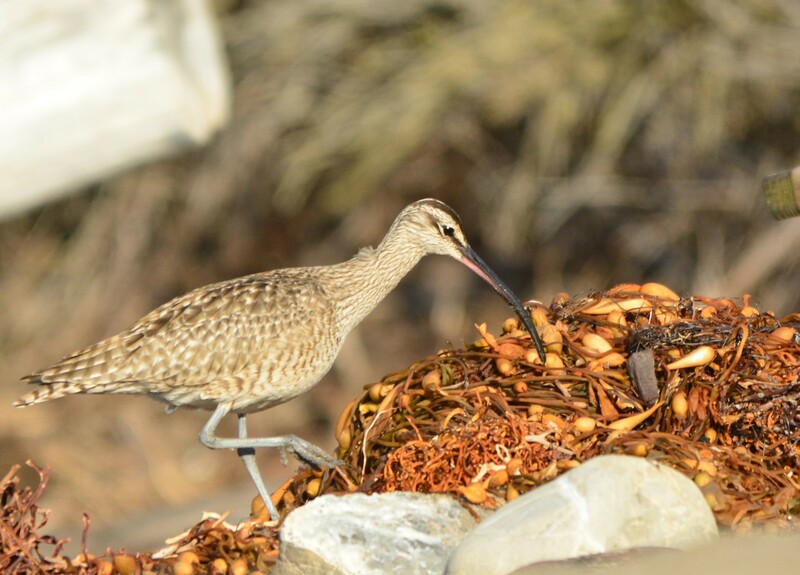 I was walking along the Santa Barbara shoreline when a shorebird flew straight past my camera as I was photographing some Marbled Godwits, Plovers, and Sandpipers. I turned around expecting it to be another Godwit, however, I was surprised at the sight of this Whimbrel poking into some of the aquatic vegetation that has been washed up over time. Quite happy with this new species I have discovered. I was walking across the bridge that spanned over the creek near the Quarry Lakes regional parks when I noticed a group of White-Throated swifts flying over the creek. As I started photographing them, I noticed that one of theses birds were a bit different than the rest. 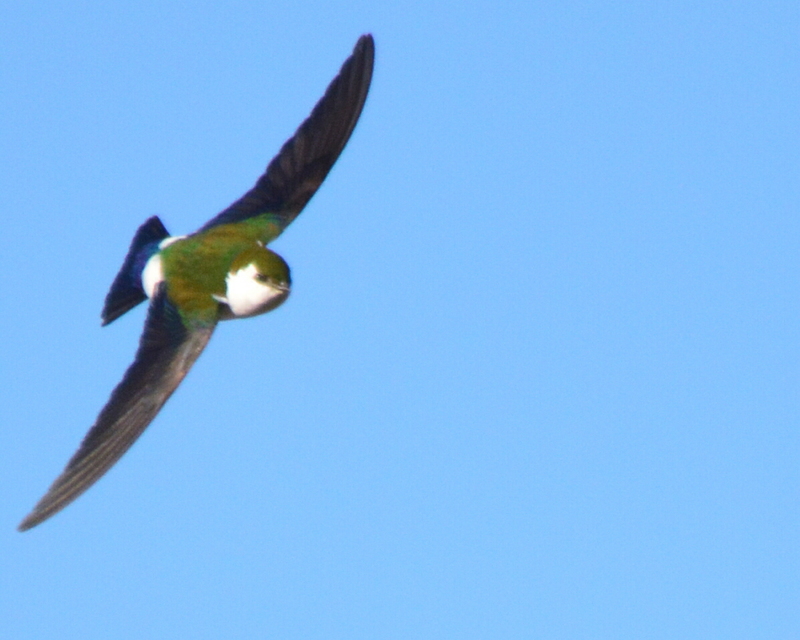 It turned out to be a Violet-Green Swallow. It was flying higher and further than the rest making it even harder to photograph. 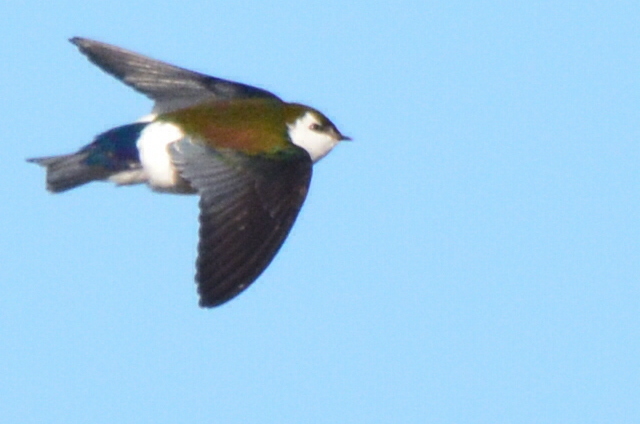 I only just managed to photograph these photos when he/she flew over the hill. 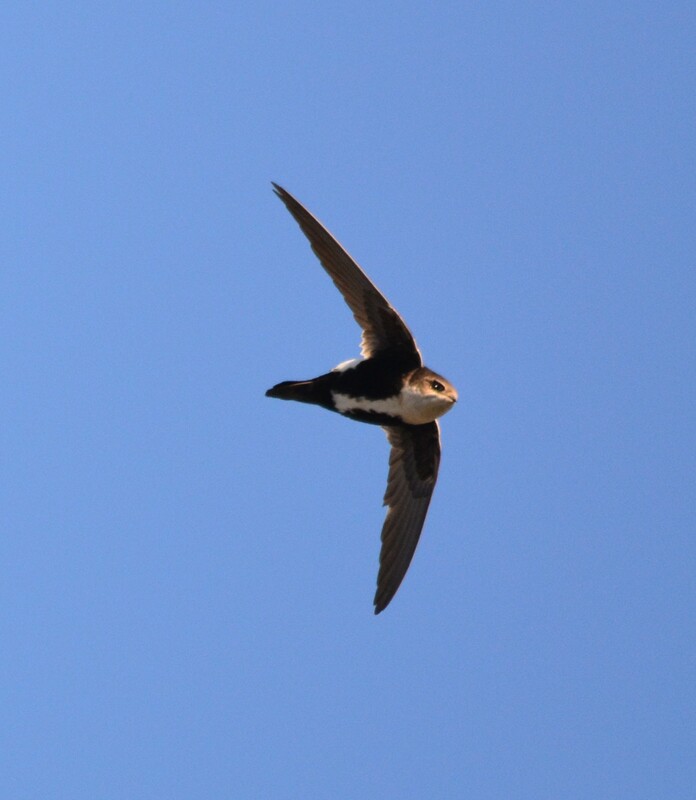 I managed to spot this White-Throated Swift flying high over Lake Elizabeth. It was even higher than the range in which tree swallows fly at. Found at Irvine Regional Park in Irvine, California.